-I went into this trying to think outside the box. I usually don’t incorporate trades but this I figured why not. There are always going to be players that drop farther than you think and players picked higher than they were projected. -The Move: I know most fans don’t want to move up and fundamentally I don’t think the Bills do either. That said I think Beane will be aggressive if he sees a blue chip player come within his striking distance. It’s not a major move either so the cost should be limited. -The Fit: Most have J.Allen pegged as a 3-4 OLB and prior to this year I would have agreed. This year though he added weight to get to 262 to handle the run better and it showed. Its still a work in progress but he carried they weight well. I think he is more of a fit in a 4-3 than he is given credit for. +C.Wilkins: If the Bills stay at 9 I think he is the pick. He has everything they want on and off the field and I’ve been a big fan of his for years. 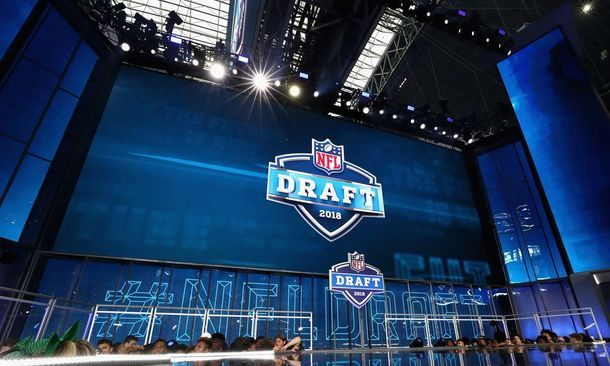 -One final thought: If the Bills do go defense in round one I expect them to go right back to loading up the offense with their next 3 picks. -It’s the most talent I have seen in a DT class. The first 5 would be pushing to be the first DT off the board in any of the previos 5 drafts. That said it’s a very top heavy class in my opinion. If you want one you better take one early or be ready to make a move up to grab one. -I would say it’s an above avg class. It has some first rounders and some decent depth. I don’t think there is a plug and play top 5 blue chip franchise LT from day 1 in the group but there doesn’t need to be. -Good overall class, especially if you are looking to spend a first round pick on a da1 starter at Center. You have two in this draft that should be able to come in and start from the get go and be there for the next decade. -The OG group is above average and the wheel house for them like most years will be mid day 2 to early day 3. 3.New York Jets: Quinnen Williams, DL, Alabama- They are going to want to move back but I don’t think they will be able to pass up the talent that lands in their lap. With that in mind I’ll stay on the field. The 3-tech positions can be tough to unearth because of the athletic ability and play to play effort it takes. 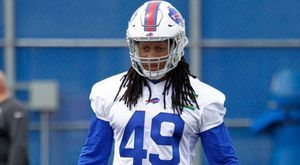 The Bills currently do not have a true 3-tech sitting on their roster right now and Wilkins could be slotted in from day 1 and have an immediate impact. He has been a rock on the Clemson defense for 3 straight years. 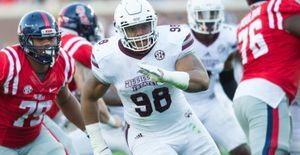 It would also have the Bills locked into 3 good DT’s for at least another 3 years and possible 4 DT’s depending on the future of Jordan Phillips after this year. -Emanuel Hall of Missouri has missed some time with injuries but even with that I am not seeing a day two pick. I think his hands are questionable and is looking more like a day 3. -I have been lagging behind on Winovich from Michigan. After watching him more closely the past couple weeks I think he plays a lot like current Buffalo Bills DE Jerry Hughes. He is explosion off the ball and is relentless with his pass rush. What stood out to me though is that much like Hughes he is a sneaky good run defender. -Dwayne Haskins of Ohio State will have an interesting decision to make. Right now if he declares he’ll be a first rounder. 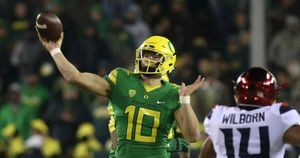 Not necessarily because he’s currently a first round talent but because he is trending that way and there is currently only one 1stround caliber QB who may declare in Herbert. I’ve come around on Haskins and to be honest if I were him I would declare. He can make all the throws and has displayed some good accuracy. His ideal situation would be to land with an offensive minded HC with an entrenched QB who has a year or two left. -A lot of places have still have Zach Allen from Boston College as a top 20 player. I’m still at a fringe first for him. 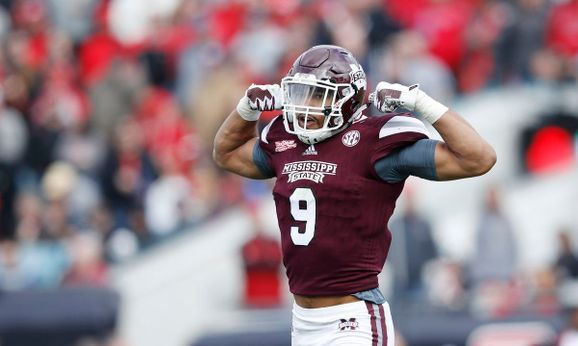 -Nick Fitzgerald is not a Sunday QB, in fact he’s barely a Saturday one. I do however like him as a Priority UDFA at Safety. It’ll take some time and development but I think he could actually be a decent one. 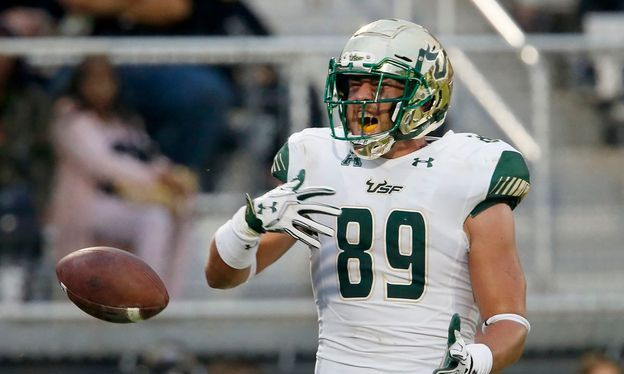 -Zach Gentry TE from Michigan is more of the traditional TE from the 90’s . He’s not really a seem buster or going to lead his team in receptions. 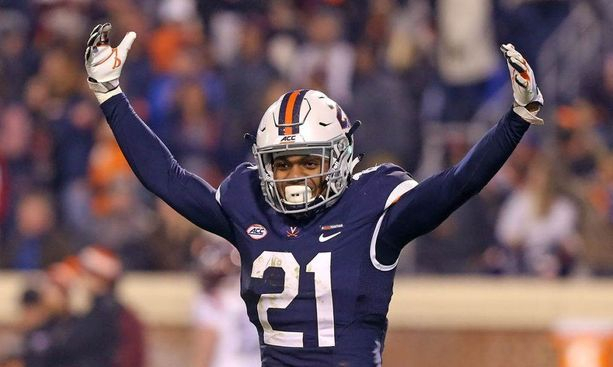 What he will be is a very good blocker and a reliable safety valve for a QB. For some reason the NFL has moved away from this style of player at the position. -Drew Lock will be the 2019 QB that will be all over the board. I have an early 2ndon him. He makes a lot of mental errors and throws that definitely are questionable. He has a lot physically what you look for so that should keep his stock relatively high. 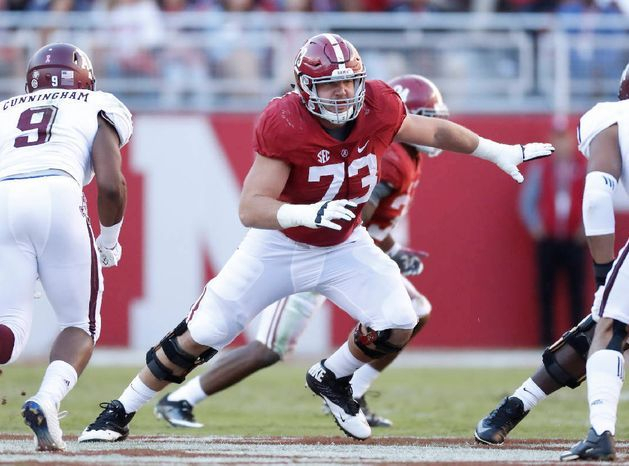 -Jonah Williams from Alabama will be the first OL off the board barring injury. The guy is an absolute machine who has experience on both sides. He is so far ahead of every player he faces from a mental standpoint that its almost not fair. 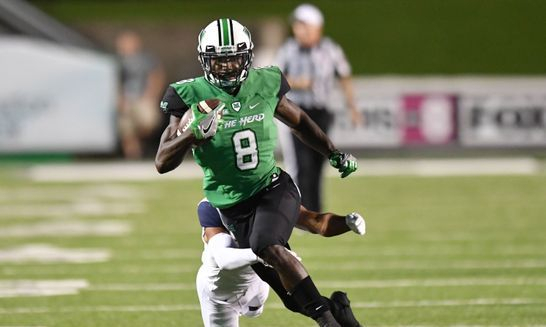 He is an absolute technician who has an elite football IQ and mental process speed. He knows the double move is coming before the DE even knows he’s going to do it. -I see Vanderbilt CB Joejuan Williams listed as a day 3 player in some places and I don’t get it. For me he’s easily a 2ndrounder and zone teams will be especially high on him. He is an ultra aggressive CB with excellent measurables and length. Now the aggression can sometimes get him in trouble which is why I think zone is a better fit for him. 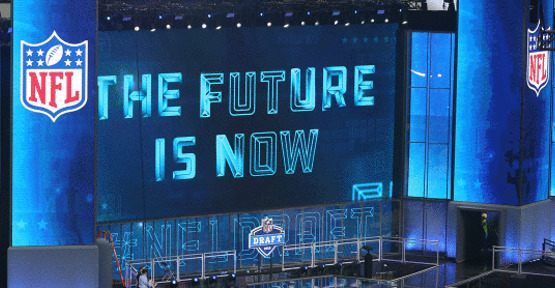 -As it stands right now, and obviously a lot can change as I watch more players at the position, Elgton Jenkinsis the only Center I can see having a shot at being a first rounder. He has been a rock in the middle of the Mississippi State OL. He is stout at the POA but I also like how he gets to the 2ndlevel and can engage moving targets to open lanes. -Noah Fant is the clear cut TE1 at the moment, but if there is one TE that could challenge him its Kaden Smith from Stanford. 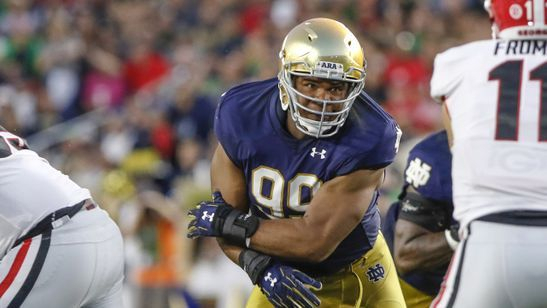 While he didn’t have his best game against Notre Dame he is a well rounded TE in the mold of a Jason Witten. -Ka’Dar Hollman, CB from Toledo is a player I like more and more. He is physical at the LOS and fights every play. He’s an early day 3 player for me right now. I imagine teams that run zone heavy schemes and ask their CB’s to be active in run support will be high on him. -I said it on Saturday and I’ll keep saying it, I don’t think Nick Bosa plays another snap at Ohio State and he shouldn’t. He is a top 5 draft pick out the door right now and nothing will change that except a major injury. -The Safety class is an interesting one a month in. There is no J.Adams or D.James but there is solid talent there. There should be a lot of jockeying for position over the next two months and leading up to the draft. -Drew Lock is the favorite for a lot of people right now but I’m not as sold on him as others. I think he needs a lot of work on his anticipation. 5.WR questions: So the Bills have a WR group that many label the worst in the NFL. I’d say that is a bit of a stretch but I can see why most are concerned about the group. I’m not as worried as many. The biggest issue I see with the group is the same issue I had last year, there is no legit vertical threat on the current roster. I think the Bills will be keeping their eyes open waiting for some type of burner to come across the waiver wire or maybe look for an in Training Camp trade. Looking on the roster they do have Benjamin and while he is not a true number one in the mold of AJ Green or Julio Jones he is arguable just a notch below them and opposing defenses have to account for him. Kerley is a legitimate slot WR and I think will be one of the better FA additions this year. Then the Bills have Zay Jones. He had an up and down year last year but the skill set is there to be a number 2 WR. This is where you have to trust your coaching to be able to get that out of him. There has to be some development process in Buffalo or it will be near impossible to get any type of roster consistency.